An earthquake and a hurricane in the same week. Whoa. But we survived, and I’m assuming, if you’re reading this, that you did, too! 😉 Here’s a roundup of great stuff I’ve found while browsing the Internet over the past week, as well as links to your giveaways! Add your links at the bottom of the page. HealthyWage (www.HealthyWage.com) – Make money losing weight! This is a website that provides cash incentives, social and expert-based support, tools and resources, and goal-setting and tracking technologies to address our nation’s obesity epidemic and improve America’s collective health. Research shows that even small cash rewards triple the effectiveness of weight-loss programs, and this program builds upon that. The Eye Pledge – As a parent, you wouldn’t dream of missing your child’s annual check up, but did you know that their annual eye exams are just as important? Eye health plays a critical role in your child’s ability to learn, play and develop. And, unfortunately, 1 in 4 students across the country has a visual impairment problem, many of which have gone undiagnosed. To bring attention to the importance of eye health, VSP Vision Care has pledged to donate up to 50,000 eye exams worth more than $19 million dollars! To participate, visit www.SeeMuchMore.com and click on the Eye Pledge, then: 1) Pledge to take care of your own eyes. 2) Select a Boys & Girls Club that you wish to receive a free eye exam. 3) Share the pledge with your friends. For every pledge, VSP will donate an eye exam and brand new pair of glasses to a Boys & Girls Club member on your behalf! SecuraChild (www.securachild.com) – When 3-year-old Breeann Rodriguez went missing on August 6th, an Amber Alert was not issued. While the system can be essential to assisting authorities in locating missing children, unless certain criteria, such as risk of serious bodily injury or death, are met when a child disappears an alert cannot be issued to preserve the effectiveness of the system. For parents and families frantically trying to locate a child this is an extremely frustrating situation, especially when the child is later found deceased as in the case of Breeann Rodriguez. A father in California has created a new service to fill the gap left by Amber Alerts- SecuraChild. This free website allows parents to create profiles and alerts when their child goes missing. That information is then sent out via various social media networks such as Facebook and Twitter and texted to other members of the SecuraChild network so thousands of eyes can be looking for the child within minutes. Crib bumpers – Results of a new study have been released proving that traditional bumper pads severely block airflow in cribs resulting in higher CO2 levels, which can cause short term chronic effects on babies, such as gasping spells, headache, fatigue, irritability and abnormal respiration. High CO2 levels are also a known factor that leads to an increased risk of Sudden Infant Death Syndrome (SIDS). Traditional bumper pads are currently under investigation by the CPSC and Illinois and Maryland are considering bans on the sale of the product. PBS KIDS toys! Launched earlier this summer, the PBS KIDS toy line of pre-school toys is designed to extend off-screen learning. Consisting of more than 20 individual wooden toys for preschoolers (ages 3+) across key toy categories, they’re available exclusively online at PBSKIDSshop.com, until early fall, when they will become available at additional online and in-store retailers as well. The Story of September 11, 2001 – Most kids today don’t have first-hand recollections of the events of Sept. 11, 2001, because they were too young, or weren’t born yet. For many of them, there is confusion about what happened, and why. As the 10th anniversary of the attacks approaches, Nick News with Linda Ellerbee will give kids their own forum to talk about the events of that day, address some of their misconceptions and answer their questions, in What Happened? : The Story of September 11, 2001, premiering Thursday, Sept. 1, at 9 p.m. ET/PT on Nickelodeon. The special will air commercial-free. Rising: Rebuilding Ground Zero – As we approach the 10th anniversary of September 11, that fateful day that impacted all of us, Discovery Channel and Science are looking forward with Rising: Rebuilding Ground Zero. Executive produced by Steven Spielberg, Rising celebrates the men and women who are driven by a single purpose – re-imagining and rebuilding the former site of the World Trade Center’s twin towers. Tune in to Discovery Channel September 1 at 8 PM ET/PT to meet the people leading the rebirth of Lower Manhattan, presented commercial-free, and be inspired! Mickelson ExxonMobil Teachers Academy – Each summer, 200 elementary school teachers are selected to attend this academy, by applying through SendMyTeacher.com. Parents and students can nominate a teacher in their lives; the teacher receives an e-card letting them know they’ve been nominated to apply for the Academy. Formed through a partnership with PGA golfer Phil Mickelson, his wife Amy, and ExxonMobil, the week-long, all-expense paid professional development program equips teachers with the tools they need to inspire their students in math and science. Nominate your favorite teachers! The application deadline is October 31… an easy, yet meaningful way for parents (and kids!) to let the teachers in their lives know they are appreciated and start the school year off on the right foot. Green School Makeover – In partnership with Pureology, Global Green USA recently launched a Green School Makeover Competition. One grand prize winner will get $65K to renovate their school – plus an additional $65K worth of technical assistance. 4 runner-up schools will get $2,500 to use towards green school renovations. This is a great opportunity for schools struggling with budget shortfalls — it can help them build a healthier learning environment for their students while also saving money on energy use for years to come. The deadline to nominate your kids’ school is September 30, 2011. Discover What You Treasure sweepstakes – Disney and Verizon are giving fans a chance to win a special family trip to Walt Disney World Resort. Fans can enter by visiting Disney.com/DiscoverWhatYouTreasure by September 11, 2011. Disney and Verizon will send the grand prize winner and three family members on a five day vacation to Walt Disney World Resort. During their visit, the winner and their family will spend one special night at the Cinderella Castle Suite in the Magic Kingdom. They will also receive a new Verizon Wireless phone with the official Mobile Magic app. Mommy Blogger Scholarship – Star Costumes has launched the first-ever Mommy Blogger Scholarship – a $500 scholarship for blogging moms to be used towards any accredited degree. Not every mom with a blog is in school; many might already have their degree, not to mention having their hands full raising a family and running their blog. 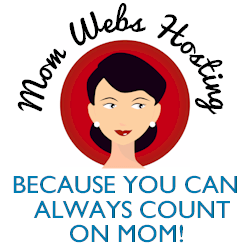 But for those moms enrolled in school and training to expand their skillsets to help grow their websites, they’re hoping to provide some assistance. Find more information on The Star Costumes Mommy Blogger Scholarship here. Totally KooKoo contest – Through September 12, Totally KooKoo is having a very special KooKoo Bird Sighting Photo Contest on Facebook! For a chance to win awesome prizes, simply upload a photo of a KooKoo Bird – or a KooKoo Bird creative original interpretation (a drawing, collage, picture, etc.) in the kookiest place possible! Who will win? You decide! Voting is open to the public so be sure to get your friends and family involved and check it out at Facebook/TotallyKooKoo! Grand Prize Winner will receive a $100 Toys“R”Us Gift Card and a Totally KooKoo prizepack and 2 runners-up will each get a $50 Toys“R”Us Gift Card! What’s buzzing this week is my favorite feature — it always has fun & creative finds!